Reef-lined beaches, lush rainforests and reggae music are visions that often come to mind when one thinks of Jamaica. 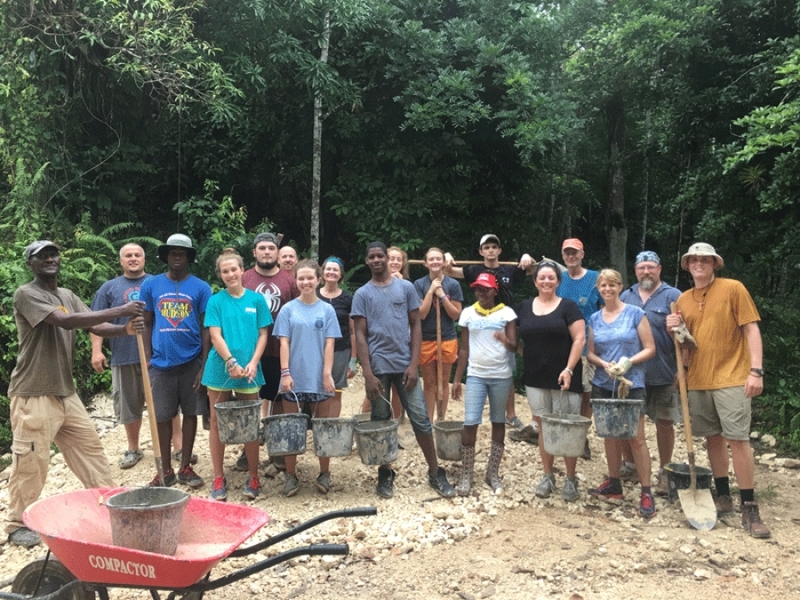 Youth group leaders from Mt. Olive Baptist Church recently gained a different perspective of this island. 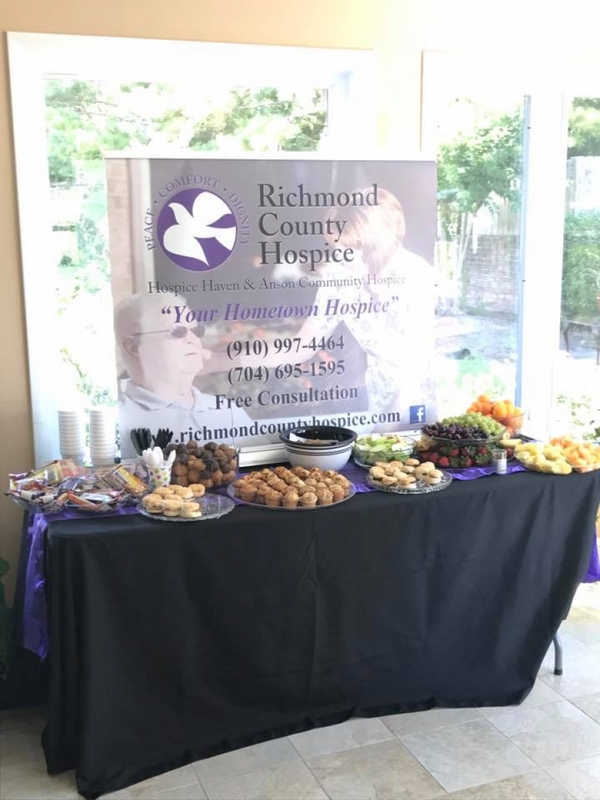 ROCKINGHAM - Richmond County Hospice, Inc. has been named a 2017 Hospice Honors recipient by Deyta Analytics, a division of HEALTHCAREfirst, the leading provider of Web-based home health and hospice software, outsourced billing and coding services, and advanced analytics. Hospice Honors is a prestigious program that recognizes hospices providing the highest level of quality as measured from the caregiver’s point of view. Inspiration can take many forms. For Rev. James Brigman, Jr., pastor of St. Paul United Methodist Church and his wife, Lori, it comes in the form of a child. 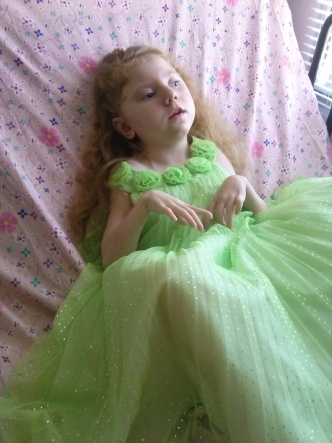 The child is their 9-year-old daughter, Lauren Faith Brigman, who is a CAP/C (Community Alternative Program/children) child. This means Lauren is considered medically fragile for life. The CAP/C program is a Medicaid waiver program created to provide services for medically fragile children under 21 who are at risk of institutional care. It allows children who need long-term nursing care to stay at home with their family instead of having to stay in a nursing home or hospital. This program allows Lauren Faith to receive in-home services while her parents work. The Brigmans are concerned that cuts will be made in Medicaid, endangering the CAP/C program that her mother says has kept Lauren Faith alive since her birth in Chapel Hill as a 1 lb. 11 oz. preemie. During her 2nd month of pregnancy, Brigman contracted a rare virus, which affected the development of her unborn child’s brain. 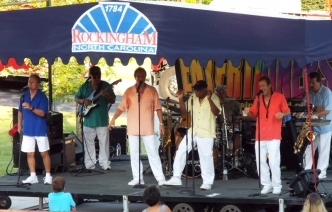 ROCKINGHAM - With the heat index around 101, all ages still showed up at the Plaza Jam to see The Entertainers. The 7 member group was founded in 1980 and originated in R&B as well as Beach Music. They also played a diverse selection to suit everyone, and encouraged people to get up and dance. They have played at some of the finest places in Myrtle Beach as well as along the East Coast, and they have their own albums. 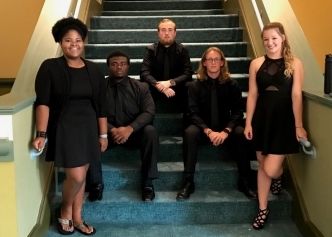 ROCKINGHAM— The magic was in the air as the Richmond Raiders traveled to the National Beta Club Convention in Orlando, Florida to showcase their unique talents and academic abilities. To cool down on a hot, summer day, what better treat than ice cream? It doesn’t have to be summertime though, to enjoy ice cream from Twisted Treats, a local ice cream shop owned and operated by Chris and Ashley Turner. 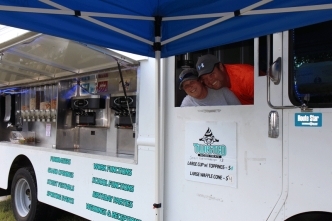 The Turners opened Twisted Treats in August of last year. They sought a business that would benefit the community. ROCKINGHAM —The Rockingham Police Department is taking an initiative that leaves no questions about what your ride should be after consuming alcohol. ELLERBE -- Hotdogs, watermelon races and fireworks all symbolize the significance of Independence Day. And for the Ellerbe Lions Club, Tuesday's annual Fourth of July Jamboree was a success at both celebrating and bringing the community closer together. HAMLET —Kenny and Leah Melvin recently established the Dr. R. Kenneth Melvin Memorial Scholarship in memory of Melvin’s father, who served as the third president of Richmond Community College for eight years. 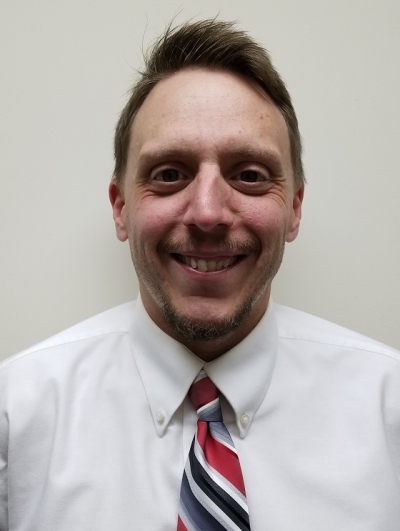 HAMLET – A urogynecologist with FirstHealth Urogynecology in Hamlet, Dr. Harris-Hicks is seeking patients to participate voluntarily in a clinical trial involving a study drug for overactive bladder. ROCKINGHAM - The Church of God of Prophecy in Rockingham celebrated 85 years of ministry the first Sunday in May and burnt its bank note to proclaim itself "free of debt". ELLERBE - With the cancellation of Hamlet's July 4 activities, Ellerbe's 4th of July Jamboree and Fireworks becomes the only Independence Day event in the county today, and it will likely prove to be a huge turnout and success. The City of Hamlet on Monday announced their event would be cancelled as a result of heightened security concerns related to a recent homicide in the town. City Manager Jonathan Blanton said it was an "important call" to make for the safety of those who may attend. PINEHURST – FirstHealth of the Carolinas achieved a unique milestone in its near 90-year history with its successful July 1 conversion to Epic information systems technology. The initiative is largest in terms of dollars and resources ever to be undertaken by the 15-county health care network.